The main purpose of conducting a survey is to gain important and useful data. 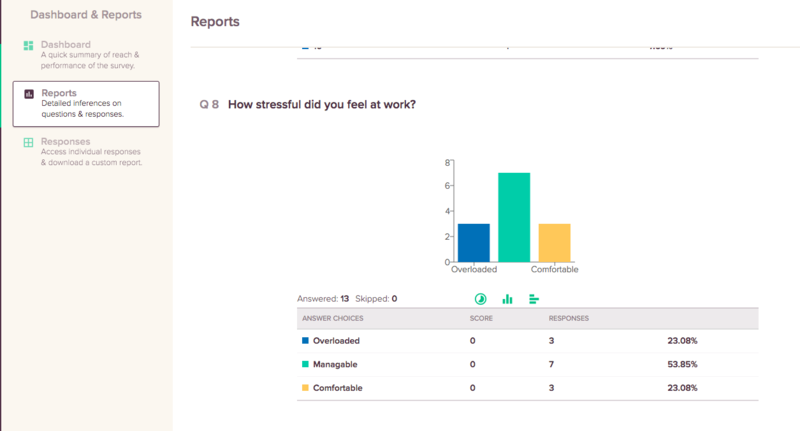 SurveySparrow has a rich dashboard which helps you gain in-depth analysis about the survey responses. The Results section is dedicated to helping you provide a detailed review about the Survey performance. 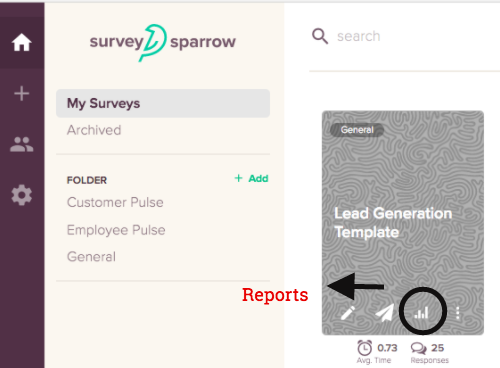 In your SurveySparrow account home page, click on the Reports icon on your survey. You will be redirected to the Dashboard & Reports page. 2. Once redirected, click the REPORTS tab. This gives you a detailed view on the inferences and responses. Graphical representation using pie-charts and histograms gives insights at a glance.